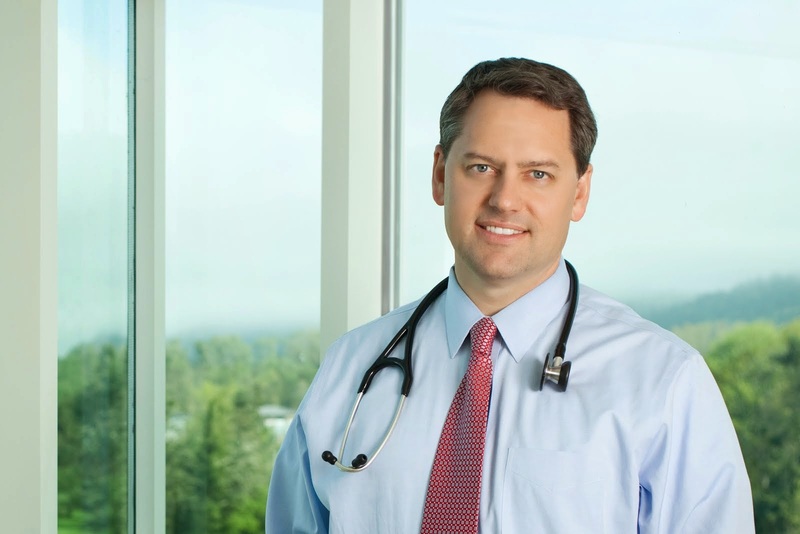 Dr. Sharman's CLL & Lymphoma Blog: What is Tumor Lysis Syndrome (TLS)? What is Tumor Lysis Syndrome (TLS)? Tumor Lysis Syndrome (TLS) is the term applied to the death of cancer cells at a rate that exceeds the body's abilities to deal with the consequences. While we normally think of a "tumor" as a solid mass, this syndrome is probably more common in the lymphomas and leukemias then it is in cancers of the lung, breast, colon, and prostate. While we might think that killing cancer cells is a good thing - killing too many at once can be a disaster. In general this is a sufficiently uncommon problem that most patients do not need to worry about it - but for patients receiving treatment for any lymphoma or leukemia it is reasonable to ask your doctor if it is much of a concern and what to watch for. I find that most patients are pretty unfamiliar with TLS so I though a brief description might be useful for patients who want to understand more. In human physiology, cells have an extremely important boundary called the "plasma membrane." It essentially is the zip-lock bag that keeps the insides in and the outsides out. It is pretty remarkable because the insides of cells are a lot different in composition than the environment outside of the cells. Cells spend a lot of energy keeping things that way. If you consider something simple like potassium - there is a lot of it inside of cells and very little outside of cells. Sodium is the exact opposite - lots on the outside and not much inside. This separation of ions is important because it serves as the basis of a lot of electrical impulses in a wide variety of cells. Under appropriate stimuli, you get a sudden reversal of these ion distributions. Sodium flows in through specific protein channels and potassium can flow out just as quickly (so that we don't spark). This creates an electrical current that can serve a ton of important physiologic needs. In nerve tissues, it is what helps send nerve impulses all the way from your toe to your brain. In cardiac muscle, it is what helps coordinate your heart beat. In B-cells it helps the b-cell identify that the b cell receptor just found the virus it was supposed to fight off. Just like all aspects of human physiology, things can go wrong. Push yourself too hard in a sporting event and you overwhelm your skeletal muscles ability to keep things in balance - you get a cramp. In cancer medicine, we occasionally encounter "tumor lysis syndrome" where we kill off a bunch of cancer cells all at once - and the insides of the cells ends up outside the cells causing a variety of problems. Do this slowly enough and the kidneys and the liver clean up the mess. Do it too quickly and those organs can't keep up. Since we already talked about sodium and potassium we might as well start there. When too many cancer cells die at once (and the inside / outside barrier breaks down), you can sometimes see sudden dangerous elevations of potassium. While potassium is normally a good thing too much potassium is very dangerous. As I mentioned above, potassium balance helps your heart beat right. While the body is pretty good at adjusting to slow changes, if you suddenly raise your potassium it causes the electrical impulses of the heart to become ineffective and in extreme cases can cause it to stop. Fortunately we can often bring it back down by giving lots of IV fluids, diuretics, insulin, sugar, and even something that helps you poop it out. Administering calcium can help reset the balance as well. Sometimes people even need temporary dialysis to get rid of the extra potassium. Potassium isn't the only problem though. All that cellular DNA has to go somewhere. It gets broken down into a compound known as uric acid. Folks with gout probably know a little about uric acid because it can sometimes form crystals in joints like the big toe or the knee which can be extremely painful. In tumor lysis syndrome, sometimes those crystals form in the kidney and can cause significant organ dysfunction. Once again, there are lots of things we can do to prevent this like IV fluids (to flush the through), change the pH of the urine so that it is harder for crystals to form, administer a medication (allopurinol) that prevents the formation of uric acid, or even a super expensive medication known as rasburicase which can break it down into smaller molecules super fast. Phosphorus can also cause problems as it oozes out of dying cells. Phosphorus likes to bind onto calcium and make calcium-phosphate. In bad tumor lysis syndrome that can cause your calcium to start to fall (another problem with muscle tissue), or it can even form crystals in blood vessels and block blood flow to the skin. That would typically be in a pretty extreme case of tumor lysis. So while killing cancer cells is a good thing - you don't want to kill them all too fast. Tumor lysis syndrome is most common in the really fast growing blood cancers like acute leukemia (not chronic) or the intermediate / high grade lymphomas like DLBCL or Burkitts. See my post on the difference between these. Sometimes these cancers grow so fast that you see an "intrinsic" tumor lysis syndrome even without any sort of treatment. The cells are proliferating so quickly that the ones dying around the edges can cause all of the problems above. It is pretty uncommon in the slow growing lymphomas and infrequent in CLL though more of a problem with some of the very effective treatments we have now (including FCR and some research drugs). As in most things medical we need to be able to quantify TLS. Therefore there are two categories of TLS - laboratory TLS and clinical TLS. In the former, there may just be some mild asymptomatic laboratory changes. In clinical TLS you have laboratory TLS and either kidney dysfunction, heart arrhythmias, or seizures. Clinical TLS is graded on a scale from 0-5 with 0 being mild kidney abnormality and 5 being fatal. In 8 years of practicing oncology I cannot recall a patient who either had a seizure or died from TLS (read: uncommon), though I have certainly seen bad electrolyte changes, renal function shutting down (though it typically comes back), and cardiac rhythm abnormalities. That said, I am aware of a number of my colleagues who have taken care of a case that got that bad. Anyhow - I am struggling with how to end this post. I do not want to alarm patients unnecessarily, but I was thinking about tumor lysis syndrome and figured a good number of patients may not be aware of what it is. This is meant more for education than any specific warning. Hopefully I have not added to the anxieties of having one of these diseases. Once again - thanks for reading! Patient Power: "What is Hot in CLL"
p53 matters in DLBCL too.